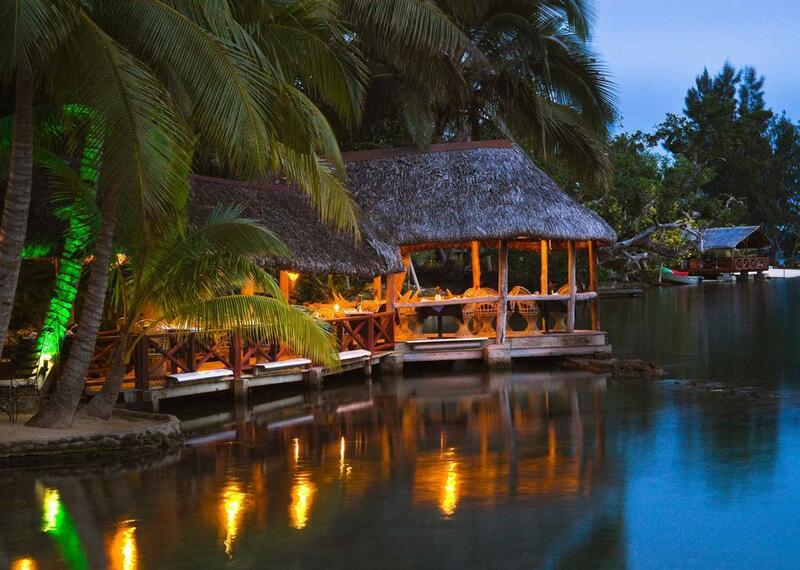 Vila Chaumieres is famous for its magical location over the palm fringed waters of the Erakor Lagoon. 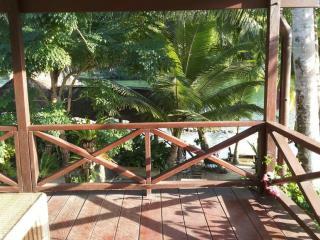 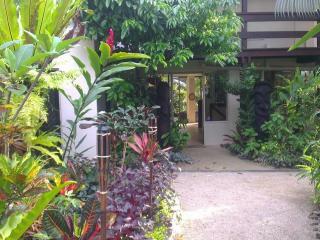 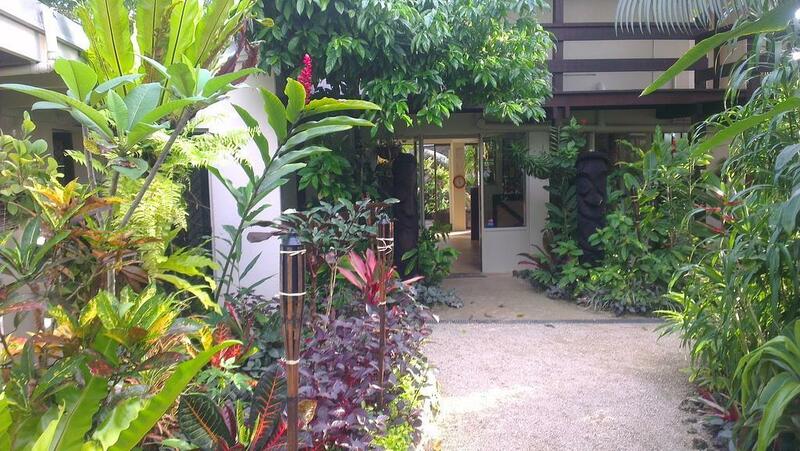 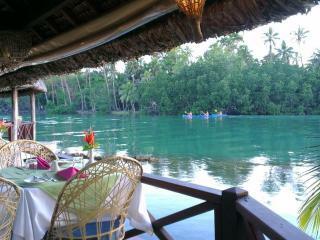 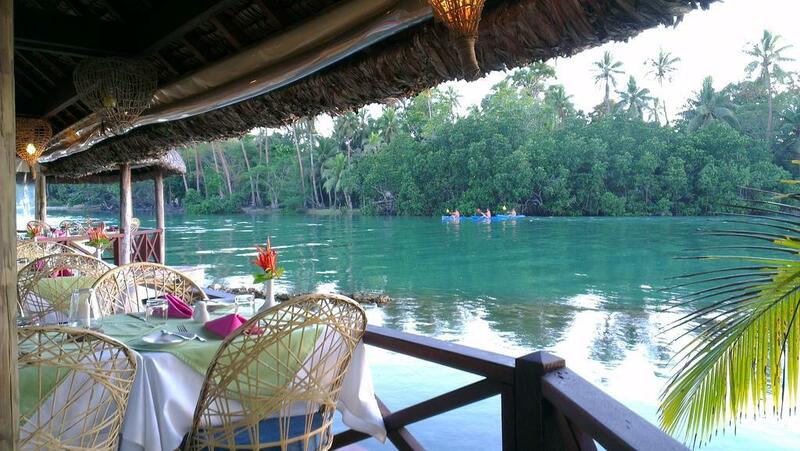 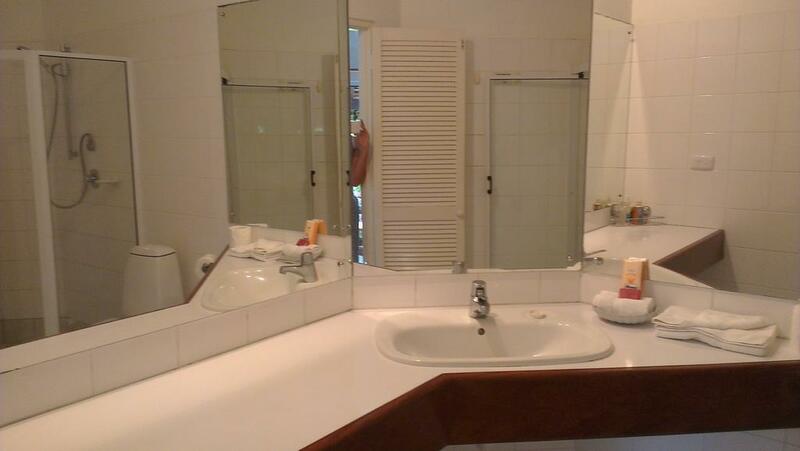 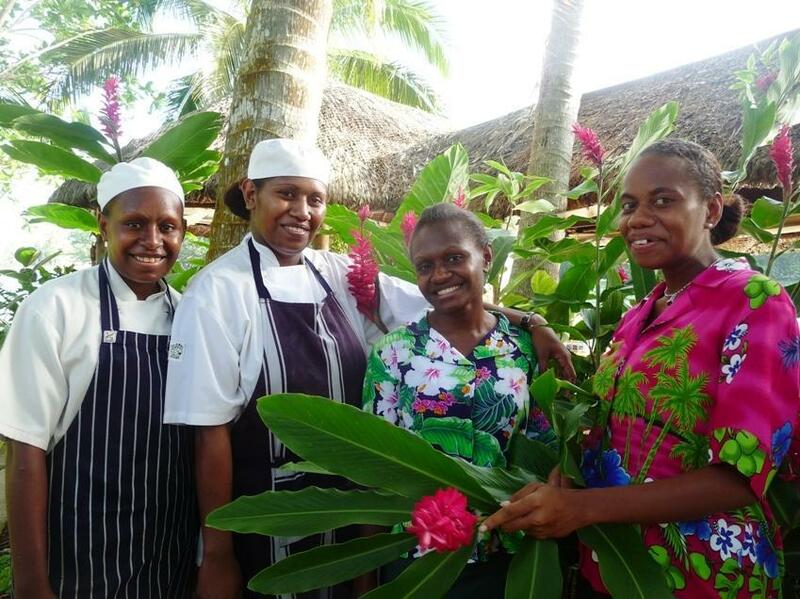 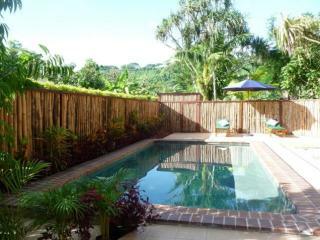 Established since 1985, this Vanuatu accommodation is situated just 4 kilometres from the centre of Port Vila. 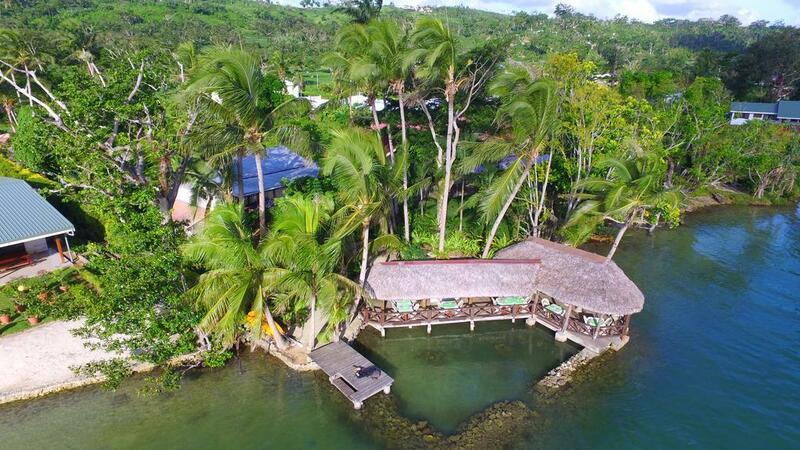 Vila Chaumieres is renowned for its beautiful ambience, fantastic food and first class service, making this Vanuatu hotel ideal for honeymooners and romantics alike. 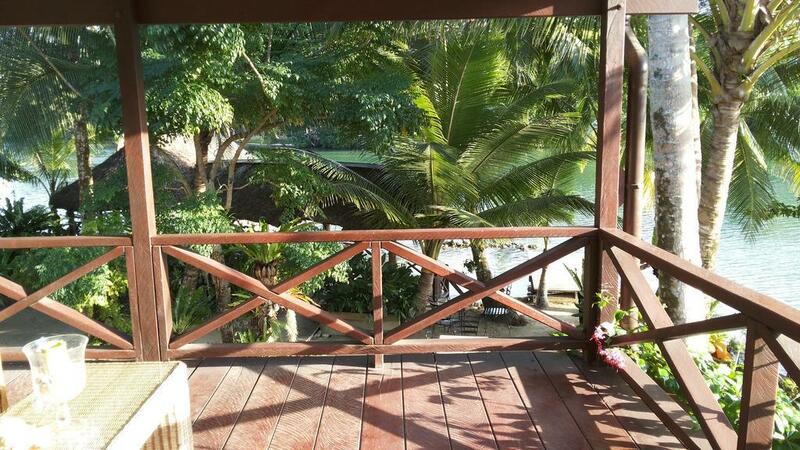 Vila Chaumieres features charming lagoon view rooms with large balconies overlooking the tranquil Erakor Lagoon plus Garden Bungalows that are surrounded by the lush tropical gardens. 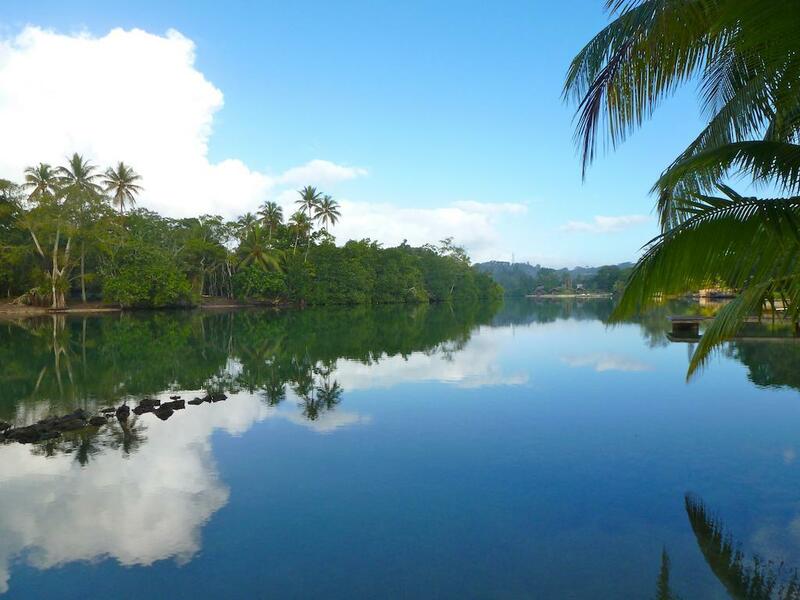 Surrounded by coconut palms, frangipanis, hibiscus and exotic tropical ferns, Vila Chaumieres offers a truly relaxing Vanuatu getaway. 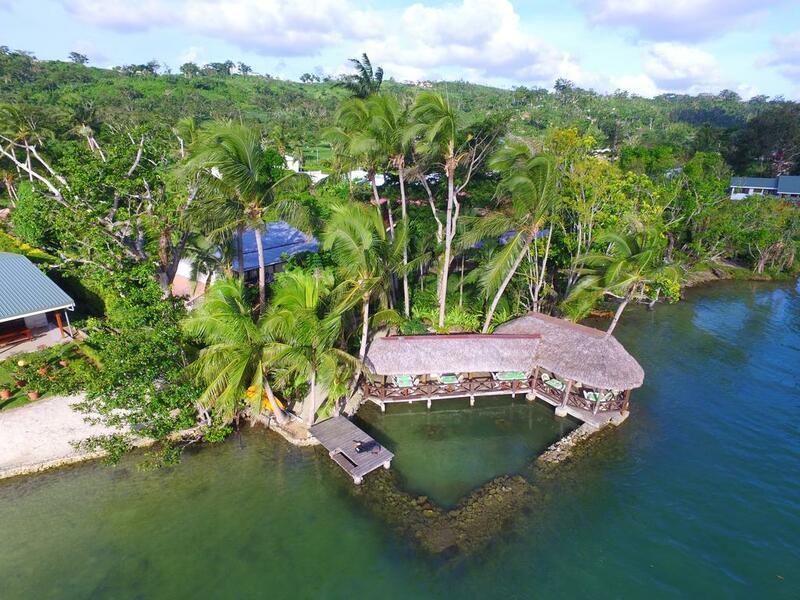 This Vanuatu hotel offers a peaceful retreat to the discerning traveller seeking an alternative to the large tourist resorts, but still within easy reach of all facilities and holiday amenities with only 5 minutes by bus or car to Port Vila. 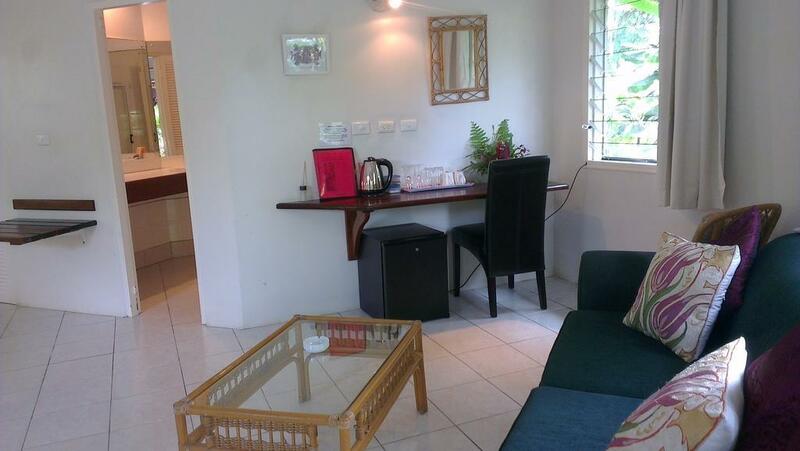 To ensure peace and privacy on your Vanuatu holiday, children under the age of 16 years are not catered for at Vila Chaumieres. 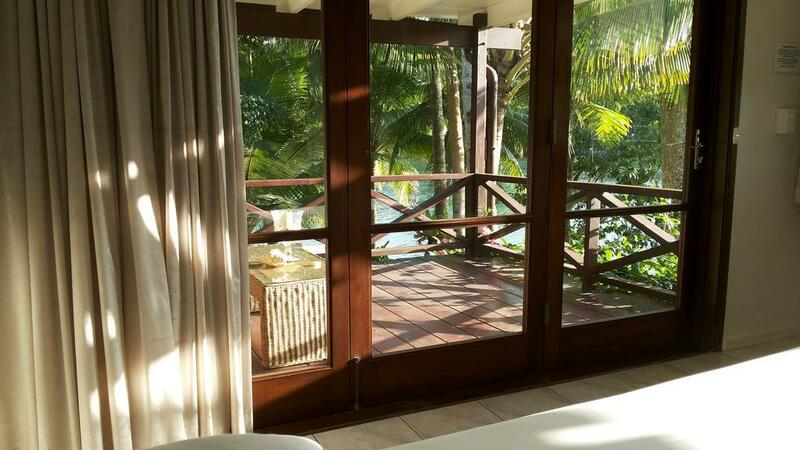 Vila Chaumieres offers Garden Bunalows set in the lush tropical gardens and Lagoon View Rooms overlooking the Erakor Lagoon. 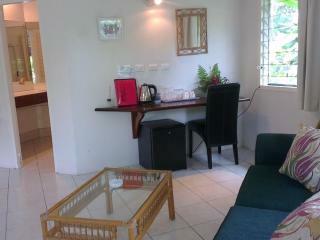 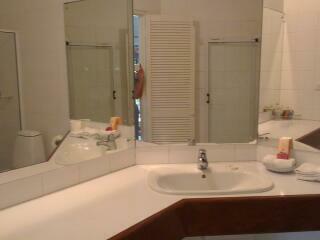 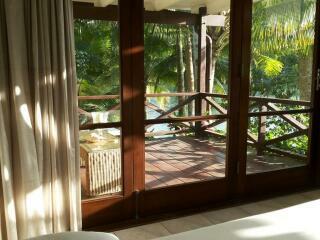 All rooms feature spacious living areas, air conditioning and private well equipped bathrooms. 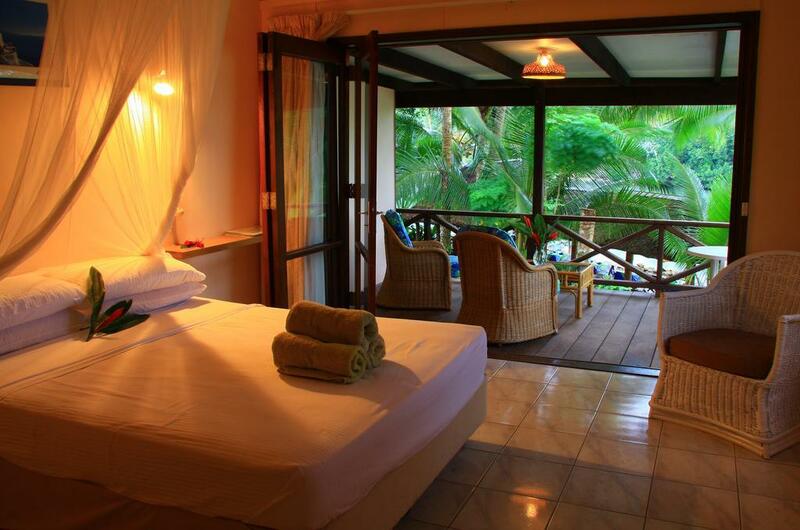 Garden Bungalow: Bedding is 1 Queen Bed + 1 Double Sofa Bed. 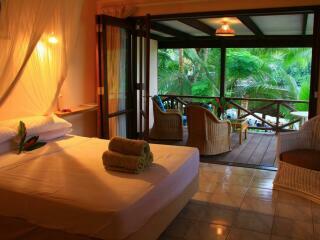 Lagoon View Room: Bedding is 1 Queen Bed. 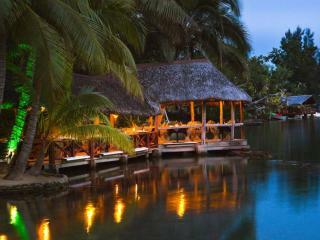 Vila Chaumieres Restaurant & Bar: Enjoy first class service, fresh seafood and the famous Santo beef on the large thatched roof deck surrounded by swaying palms and overlooking Erakor Lagoon. Although Vila Chaumieres does not accept children under the age of 16, children are more than welcome to dine at the restaurant, open daily for breakfast, lunch and dinner.